The Lafayette Choral Department is proud to offer its students many activities in which to participate. We encourage all students to take part in as many activities as they have time for. Studies show that students involved in extra-curricular activities are more successful in school. Student Activity Opportunities are a vital part of our co-curricular program. The more opportunities students have to work with other conductors and learn more and different music, the better, more well-rounded student musicians they will be. Student activities sometimes involve cost above and beyond regular choir payments. Honor choirs are a great way to gain experience singing and have a great time. Honor choirs are typically conducted by nationally recognized conductors and conductor/composers who have a lot to offer students. Once selected, students learn music prior to the event. Honor choir events can last from 2-3 days including rehearsal and a final performance. Honor choirs often require travel and additional expense to participate. Kentucky Music Educators Association All-State honor choir is one of the most anticipated events for the Lafayette Choirs! It is an a great educational and fun event for students. Each year Lafayette is one of the top schools with the most students accepted to All-State choir. Auditionees are selected by a competitive in-house audition process that is identical to what they will experience at the actual auditions. Auditions are held in October and the All-state choir event takes place in Louisville in February (dates) along with the KMEA state conference. Kentucky Music Educators Association also sponsors a junior high All-State honor choir. Auditioning for this event is mandatory for 9th grade SCAPA voice majors. Students make audition recordings with Mrs. Howard. The actual event takes place in Louisville each February as part of the KMEA state conference (dates). The lodging and rehearsals take place in the Galt House and performance is in the Kentucky Center for the Arts Whitney Hall. The University of Louisville Honor Choir is an excellent opportunity for students considering a major in music to experience choral music on a collegiate level. This event takes place on a Sunday and Monday in early January and provides opportunities for students to work with University faculty, experience the campus and even audition for admission and scholarship to the University of Louisville School of Music. Honor Choir students along with University Choirs perform a concert at the end of the weekend. Mr. Marsh nominates students to participate. Kentucky American Choral Directors Association (KYACDA) sponsors a state level honor choir. Each Fall, approximately 600 elementary, middle and junior high school students representing over 150 schools are selected to participate from across the state. Mrs. Howard will help make and submit audition recordings. *If selected, students travel with their parents to attend this event. It is not a school-sponsored trip. The American Choral Director’s Association sponsors an auditioned honor choir at their convention each year. 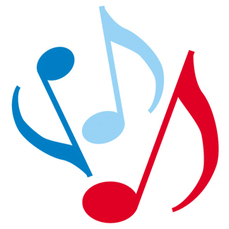 This honor choir is made up of students from the states in the South East United States or from the entire nation (if it is a National Convention year). Mrs. Howard will work with interested students before and after school to make audition recording. Applications and audio files are due online by October 1. (Contact Mrs. Howard to schedule a recording session.) *If selected, students must travel with their parents to attend this event. It is not a school-sponsored trip. The Kentucky Ambassadors of Music program is an opportunity offered to Lafayette students to make music with students from across the state and experience travel abroad. The Kentucky Ambassadors of Music are a group of select high school musicians who present a series of concerts in seven European countries during a sixteen-day tour every other summer on even years. There are many opportunities throughout the year soloists to perform the national anthem at school sporting events. Contact Mrs. Howard if you are interested. SCAPA Voice majors attend two masterclasses each semester in which in various performance topics are covered. Masterclasses provide opportunities for students to receive coaching from guest artists. The Lafayette Choir leadership team have primary responsibility to their fellow choir members to provide leadership, good role modeling, planning and consultation with the director. The officers will meet every other week as needed before school. This group conduct the new member workshop at the beginning of the year, oversees recruiting efforts, handles communication and publicity, choir operations, library dues, photography and senior video. Choir officers are elected by their class at the beginning of the school year. We have fantastic lineup of annual events each year that are required events or are a part of our regular concert season. Check out our Annual Events page for more information on these great events.